Tasted at Bordeaux Index's annual 10-Year On tasting in London. 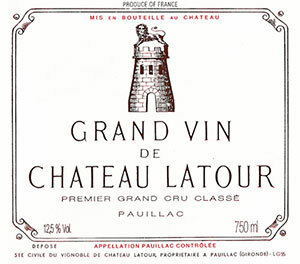 The 2006 Château Latour has quite a vibrant bouquet with lively raspberry, wild strawberry, cedar and pencil lead scents that all gently unfold in the glass. The palate is medium-bodied with supple, slightly chewy red berry fruit, a dash of spice, maybe a little tight towards the finish, unlike the Lafite-Rothschild and Mouton-Rothschild. It has a grainy texture and offers fine precision on the finish, although I would have liked a little more persistence to come through, a tad more conviction. It is not quite the revelation of say the 2002 Latour that transcends the limitations of the vintage, yet it still has much to offer. Tasted January 2016.